Welcome back to the blog! Unless you've been living under the airsoft rock the last couple of years or so, you will have noticed the growing popularity of 'Lumber-tac' - the use of lumberjack shirts in airsoft loadouts. 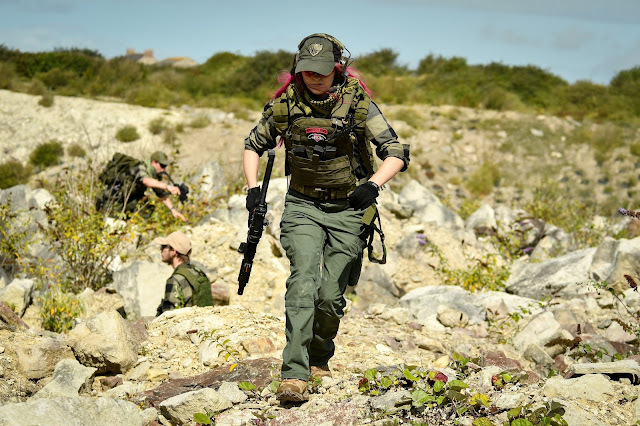 In August I attended a weekender event ran by PAST at the Rock in Dorset called Tora Bora Raid, you can read my full review of the event here. For this event, I and my team 'Project Cerberus' decided to join the militia forces and jump on the lumber-tac bandwagon! 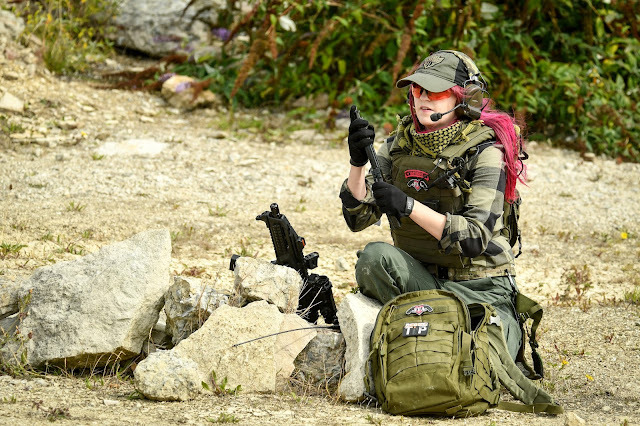 A lot of you have been asking about the loadout since then so I've put together a post breaking down what kit I'm wearing and where you can get it from! First, let's chat about the shirt. The flannel shirt I'm wearing is from the budget high street retailer Primark. There are a lot of outdoor/tactical clothing companies that make flannel shirts but they tend to be quite expensive. This men's green/black shirt was just £10! Bargain! This shirt also came in an XS size which was pretty spot on! Next up, the combat pants. For the pants for this loadout I am wearing the Pentagon BDU 2.0 pants in Ranger Green from Military 1st, you can check out my review of these here. They are a lightweight and durable pair of combat trousers which have a tonne of useful pockets and external knee pad access. I love how the Ranger Green looks with this shirt! These pants retail for £28.50 so are really affordable! 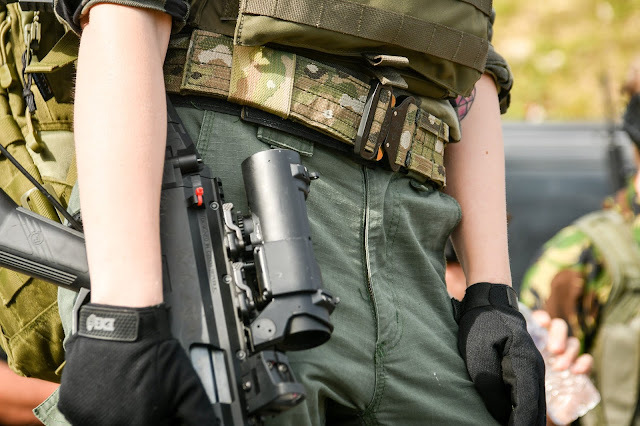 The Plate Carrier was lightweight with my foam plates in, has reinforced/padded shoulder straps so it's comfy to wear all day and has 3 Velcro mag pouches built in - enough ammo for a slow MilSim style of game. Although I like how it looks because it is similar to the LBT 6094 Plate Carrier, I ripped out the cummerbund sides to instead use Velcro straps to make the carrier fit a little better around my sides. The carrier retails for £42.74 so is also a really affordable piece! 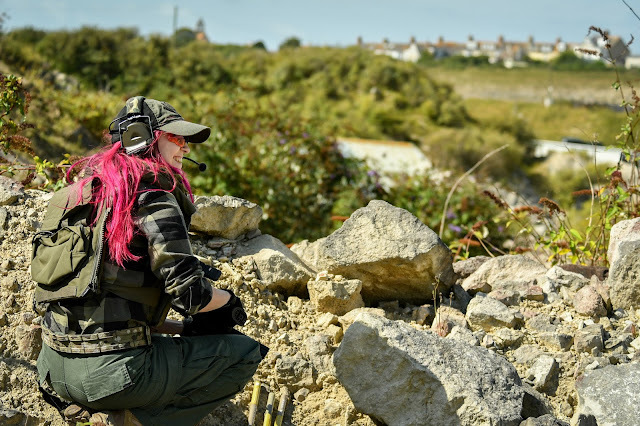 The Zip On Back Panel is a pretty cool piece of kit, it has a general purpose pouch and 2 pockets that each hold 3 x 40mm grenades - be that smoke or flash. This piece retails at £40.49! 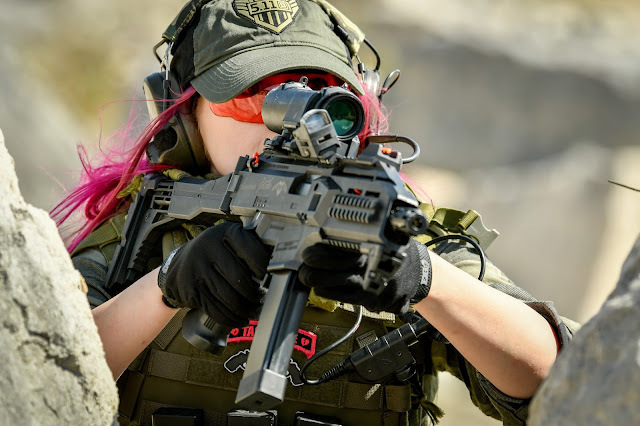 For my belt, I wore the FRV Tailoring MultiCam Cobra Shooters Belt, which you can check out the full review here. Since Tora Bora I have loaded this up with holsters, dump pouches and grenade pouches! Lastly, here are the weapons I ran for Tora Bora Raid! It's not often I get to use my Tag launcher, so obviously when the opportunity presents itself I jump at the chance. 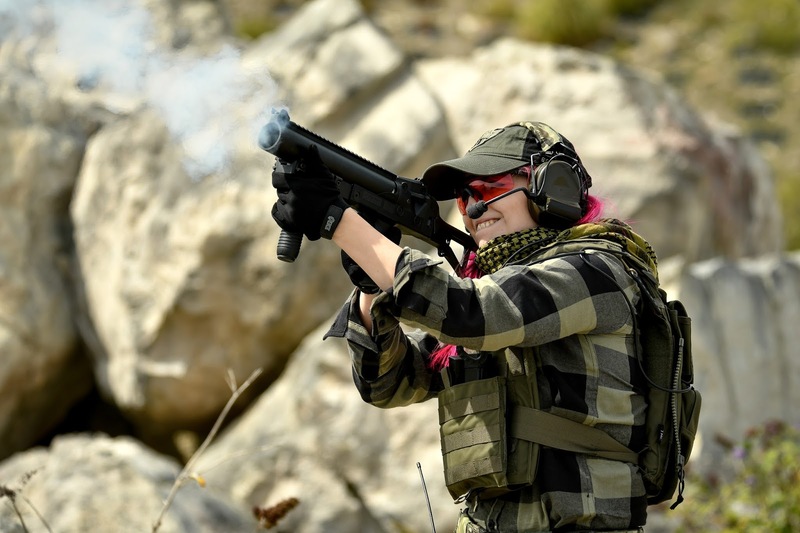 This is the Ares B&T GL06 40mm grenade launcher and over the weekend I used the TAG Innovations Reaper rounds which are impact projectiles - super useful for clearing enemy posts from a distance. I haven't reviewed this separately because I've only used it around 3 times in the last 18 months but it is super fun!